Activists say immigrants are being forced to do chores that should be done by hired staff, for only a few dollars a day. STEWART COUNTY, Ga. — It's one of the largest immigrant detention centers in the country, and it's right here in Georgia. But local activists say the Stewart Detention Center in Stewart County, Georgia is nothing more than a forced labor camp. Now, they've filed a federal lawsuit against the private company that runs the center in hopes of shutting the prison down. "The food basically being inedible. The hygiene conditions being really horrible. 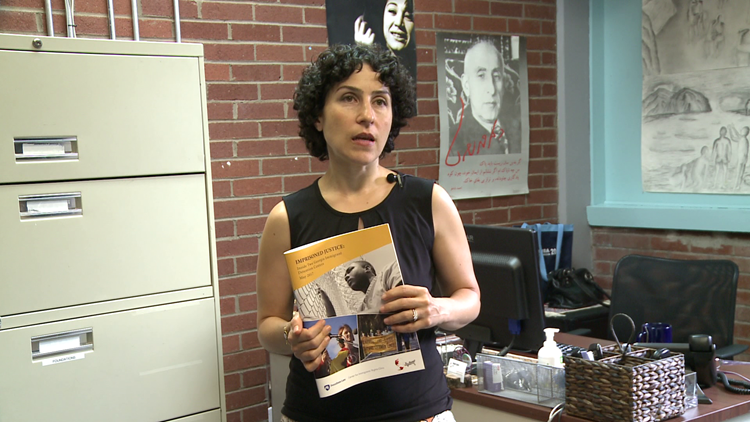 Medical care is pretty much non-existent," listed Azadeh Shahshahani with Project South. The group is just one listed on the lawsuit against CoreCivic, the business that runs the prison, where they say immigrants are being forced to do chores that should be done by hired staff, for only a few dollars a day. "There's this forced labor program. Where immigrants are basically doing the chores, that that corporation would have to hire regularly waged people to do, and paying them $1 to $4 a day," argued Shahshahani. CoreCivic argued in federal court argued that the program is voluntary, and that it exists to reduce the negative impact of confinement. But Shahshahni wonders: "How voluntary can a work program be if it's in a prison context." Last week, a federal judge ruled that the lawsuit against the private company can move forward. Meanwhile, Stweart Detention Center maintains that all of their procedures - from their treatment of detainees to their labor programs - are on par with federal requirements.